How Minimalist Do You Want To Go in Your Next Home? Tiny houses have taken the world by storm. There are television shows dedicated to them, as well as countless design articles that interview their owners. Everyone wants to know what it’s like to build, own, and actually live in a tiny house. Is it that different from a small home? What are the benefits of each? Which is right for you? Thousands have people have already made the move to a minimalist lifestyle, with many more considering it themselves. If you’re one of those considering a tiny house, we think you’ll find this article helpful. We’re digging into frequently asked questions about tiny houses, the differences between tiny and small homes, and which type of home might be the best for your needs. There’s no set definition for what constitutes a tiny house, but you can expect that any homes within 100–500 square feet (and as low as 80 square feet!) are accepted as a tiny home. Many tiny houses are mobile and built with the intention of being able to move the home to any location, though you certainly don’t have to build your tiny home on a trailer platform or frame with wheels. A number of tiny houses, especially those you see on TV, are set on wheels – or are actually commercial merchadise delivery trailers or containers that have been converted to living space. You can buy tiny house plans designed to be portable in this way or modify right-sized conventional tiny plans for a wheeled frame/foundation. The tiny-home trend is one that many thought would fade fast but instead surprised us all with continuous growth since 2007. Tiny-house living – whether mobile or permanent on a conventional building lot – isn’t for the faint of heart but for those who are keen to adapt a true minimalist lifestyle. For a more conventional take on a home, you can build a tiny house like this cozy 400-sq.-ft. Country style home in place on a small plot of land. Among other advantages, this approach gives you the option of expanding the size of your house later should you want to. This house packs a lot into a small package: two porches, front and rear, which almost double living space in warm weather; a fireplace, a full-service kitchen with pantry, a modest living room, and a bedroom with bathroom (Plan #141-1076). 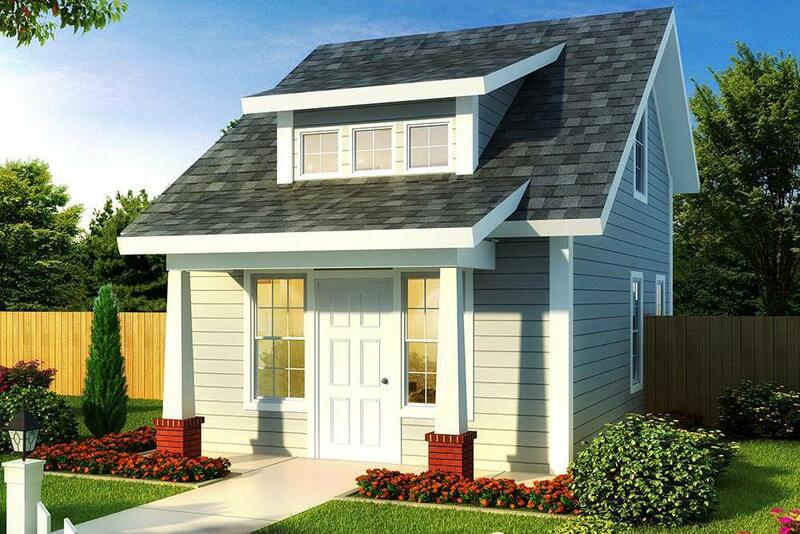 Small homes are much more traditional homes – usually coming in around 1,000 square feet or less. 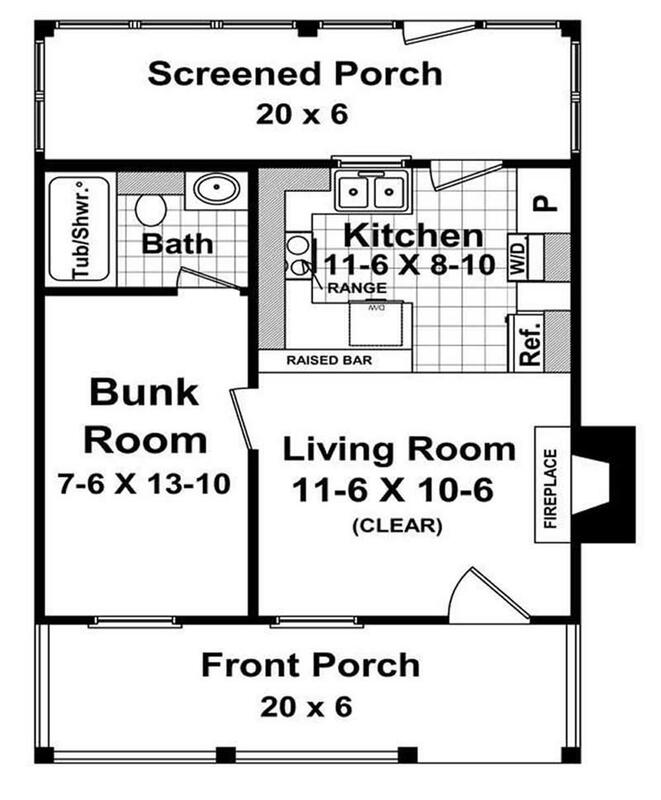 Small house plans are not mobile and aren’t meant to be taken around the world. However, they are a great option for someone looking to live in a smaller space – often Millennials – but with all the amenities of a typical home. Small houses normally have two bedrooms. 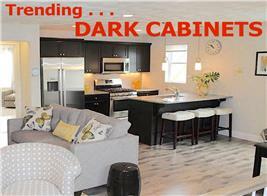 Some may have one, with larger kitchen and living areas, or three smaller bedrooms. The homes are ideal for young, single first-time buyers; newlywed couples; recent empty nesters; and retirees. 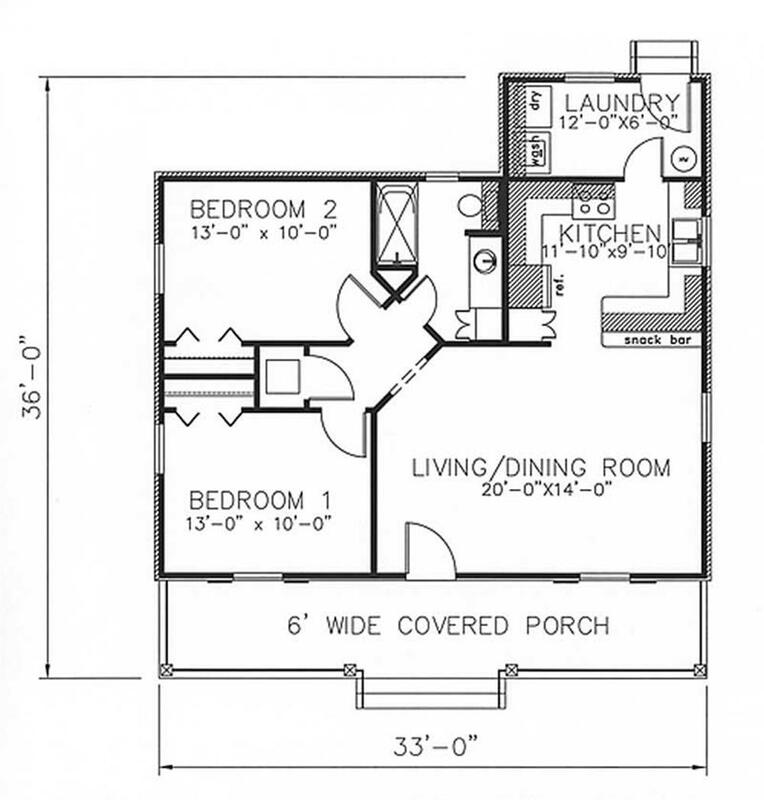 These can also be narrow house plans which work well when building on a small, narrow lot. A small, rather than a tiny, home gives you more of a feeling of living in a standard house, though still in a pint-size footprint. 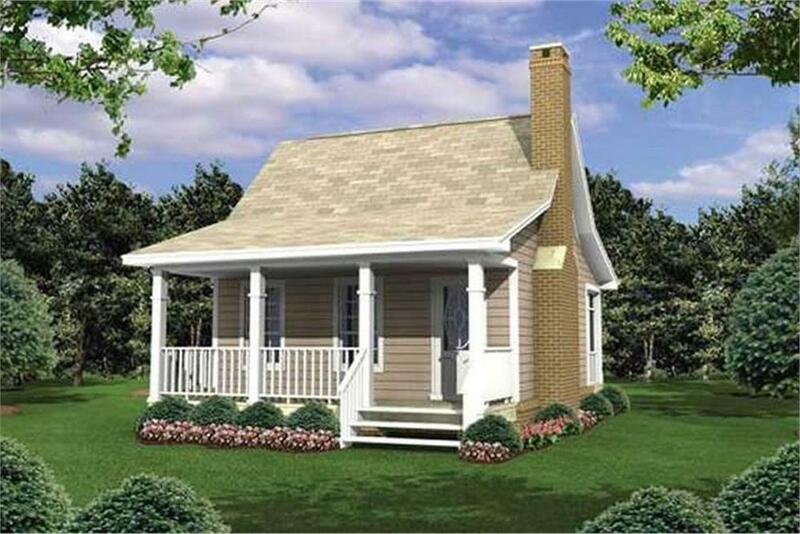 This 966-sq.-ft. Craftsman style Bungalow is well designed to maximize space and the feeling of roominess, with its vaulted family room ceiling and 9- and 10-ft.-high ceilings elsewhere, master bedroom with walk-in closet, second bedroom, and galley kitchen-dining area with pantry and laundry room (Plan #104-1195). Low cost is one of the many benefits of tiny homes – in fact, tiny homes became popular in 2007–2008 when many found themselves out of work and unable to pay mortgages. People began to turn to tiny homes as an alternative because they can cost surprisingly little to build, buy, and maintain. How much are we talking here? If you’re willing to put in the work and salvage materials, tiny homes can cost as little as $15,000 (exclusive of land). They can also set you back close to $100,000 if you’re interested in high-end materials and more space (about 500 square feet). It’s still much less than purchasing a home elsewhere and paying a mortgage! For small house plans, there’s really no good answer for this question. Small home costs depend on where in the country you’re looking – prices in Texas differ drastically from those in California, for example. However, we can say that small homes typically have a traditional mortgage and regular maintenance and utility costs – though they will be lower than your average size home (above 2,000 square feet). If you look at national averages (which really doesn't mean much to you locally), a 1,000-square-foot house would cost $125,000 to build ($125 per square foot). But that cost does not include the land and furnishings. If you’re looking to build a small home, you will need to purchase the land prior, get approvals for building on the land, and obtain a building permit after acquiring blueprints or house plans. 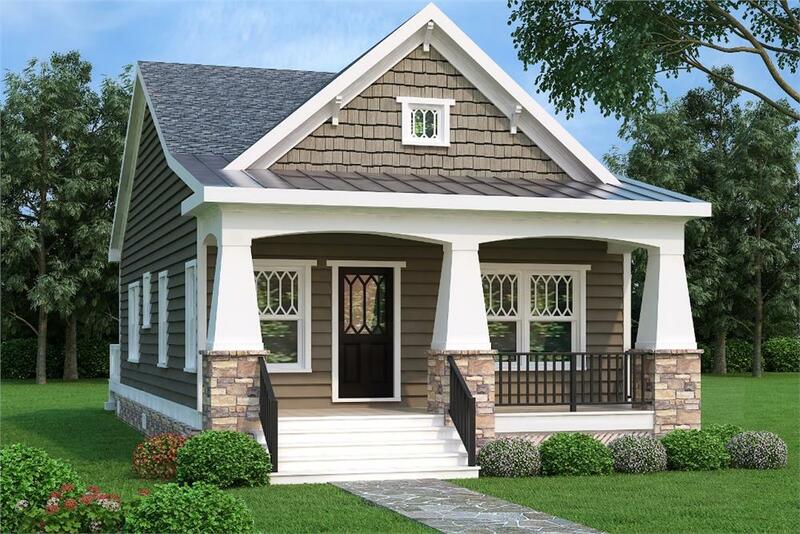 Though on the large side of sq-ft. size for a tiny house, this 597-sq.-ft., 1.5-story Craftsman inspired Cottage home has a mini-footprint of only 16 ft. wide by 29 ft. deep. It contains 1 bedroom and closet upstairs and living room, kiichen/dining, bathroom, and laundry areas downstairs (Plan #178-1346). What Other Benefits Should I Anticipate? Besides low cost, tiny and small homes have numerous benefits, though small home advantages are closer to those of traditional homes than they are to tiny homes. • Land. If you’re looking to build your own home in a permanent spot, you first have to purchase the land and then pay for the home to be built. 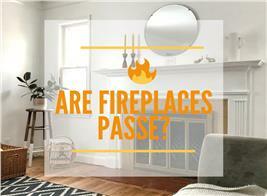 Normally, it’s expensive and something you’ll only experience when building your own home. But tiny homes may make this dream possible, especially for younger homeowner wannabes, because the lot can be significantly smaller than normal (depending on local zoning laws) and therefore more affordable. • Square Footage. You can build the home from the ground up or purchase a run-down tiny home that needs to be completely renovated. Either way, it’s affordable because of the square footage you’re dealing with, and you won’t have to worry about paying a high mortgage. You might have to rent land if you build or buy a movable tiny house, but again, prices are much lower than purchasing to build. Keep in mind that your utility and maintenance costs will be reduced as well. • Environmentally Friendly. Everyone now-a-days is looking to decrease their carbon footprint. Tiny homes are generally very energy efficient, as they do not take much to be maintained. For those wanting to make a difference in the world and contribute to reducing energy usage in a big way, a tiny home is definitely one way to do it. • Travel and Home Ownership. Millennials love to travel. Instead of saving money to purchase a home of their own, millennials spend their earnings on seeing the world. A tiny home allows you the opportunity to do both. You can own a home and see the world – in fact, you can see much of the world from your tiny home! There’s rentable land all over the country, and as long as you built your tiny house to be mobile, you can pack up and leave anytime you’d like. If you’ve dreamed of making your way across the country and spending extended time in each stop, a tiny house is definitely the way to go. • Useful Space. It’s true that a small space is much easier to maintain, as in tiny home, but small homes can also be segmented better. In a tiny home, for instance, there is generally either a couch that pulls out as a bed in the main space or a sleeping loft. Small homes have enough square footage to incorporate a full bedroom or two (or even three small ones). You’ll also have a full-size kitchen, living space, and possibly enough space for two bathrooms (one often being a half bath). • Outdoor Living. If you purchase a small home, you own the land. It’s up to you how you utilize it. 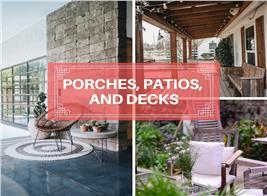 Add a deck, patio, and even a pool down the line to (often) more than double recreational space of the home with outdoor living space. You might be “stuck” in one place, but that once place is yours to do what you like with. • Investment. Also consider that when you go to sell the home, you’ll make a better profit (for your next home) than if you sold a tiny home. It’s a more permanent solution than a tiny home and often more comfortable as well. • Energy Smart. Small homes can be quite energy efficient – perhaps not as much as a tiny home, but you can still do your part. There’s much less space to heat and cool, which helps keep both energy usage and costs down. Check out our energy efficient homes here. • Space Compromise. If you love the idea of a tiny home, but just don’t think you can commit to that small of space, a small home is a great alternative. 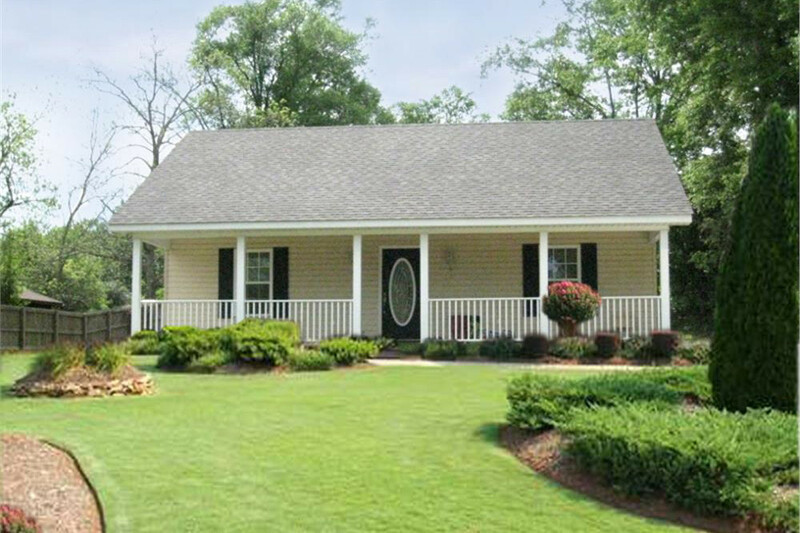 There are many different styles you can build – such as Cape Cod, Southern style, and Craftsman – so you’ll be certain to find something that suits your taste. Larger than a tiny house yet on the small side for even a small house, this 864-sq.-ft. Country style home is caught in the middle. Nevertheless, it provides comfortable living, with its generous great room/open floor plan on the right and two bedrooms and bath on the left – and a nice laundry room/rear entry behind the kitchen (Plan #123-1050). So Is a Small – or Tiny – House Right for You? Before you jump onboard the tiny house movement, we advise you think long and hard. Tiny homes are affordable, wonderful options for many, but they don’t work for everyone. Though they are quite cute and not particularly demanding in terms of maintenance, they can be pretty tough to live in. After all, 500 square feet is smaller than most studio apartments in large cities. Your living space, sleeping area, kitchen, and bathroom all need to fit within the space of your home. If you live with another person, have kids, or even animals, you really have to think about whether or not you can manage in that small amount of space. It might seem the perfect getaway at first, but remember, this is the space you’ll be coming home to each day. Tiny house living isn’t for everyone. If you’re looking for a minimalist lifestyle but just can’t imagine living in only 500 square feet, though, consider a small house instead. Though not roomy by most standards, it will still provide space for you to spread out and even find alone time if and when you need it. 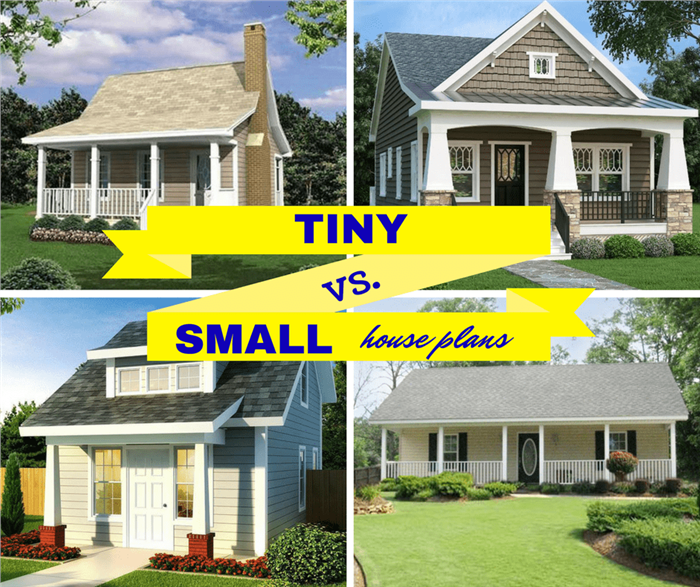 Whether you plan to join the tiny house movement or build a small house for retirement, check out our tiny houses of 400, 500, or 600 square feet as well as our selection of small house plans.